Two correlational studies tested whether personality differences in empathy and perspective taking differentially relate to disapproval of unethical negotiation strategies, such as lies and bribes. Across both studies, empathy, but not perspective taking, discouraged attacking opponents’ networks, misrepresentation, inappropriate information gathering, and feigning emotions to manipulate opponents. These results suggest that unethical bargaining is more likely to be deterred by empathy than by perspective taking. Study 2 also tested whether individual differences in guilt proneness and shame proneness inhibited the endorsement of unethical bargaining tactics. Guilt proneness predicted disapproval of false promises and misrepresentation. Empathy did not predict disapproval of false promises when guilt proneness was included in the analysis. 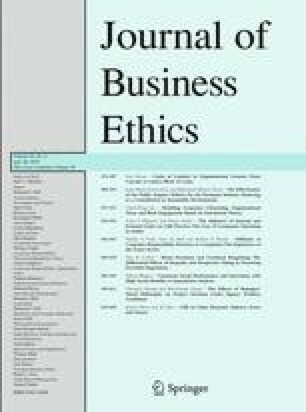 The comparatively private nature of the sin of false promises suggests that private ethical breaches are more likely to be deterred by anticipated guilt, while ethical breaches with clear interpersonal consequences are more likely to be deterred by empathy. This paper was presented at the June 2009 conference of the International Association for Conflict Management (IACM) in Kyoto, Japan. Special thanks to Abigail Panter for helping to collect data for Study 1 and Louisa Egan for helping to collect data for Study 2. Special thanks also to the Dispute Resolution Research Center (DRRC) at Kellogg School of Management, Northwestern University for generously funding this research. 1.Department of Management & Organizations, Kellogg School of ManagementNorthwestern UniversityEvanstonU.S.A.